The Mulanje Massif- Dramatic granite cliffs mark along the edge of the Mulanje massif and are streaked with waterfalls created by the streams draining the plateau and peaks above. Mulanje is one of the “necklace” of mountains stretching along the eastern side of Africa from the Drakensburg to Ethiopia. The mountain’s summit stands at 3000 meters above sea level, Sapitwa peak , which means “Don’t go there!” is a warning that challenges the determined climber as climbing it requires experience, though often testing endurance rather than technique. For the less dedicated, Mulanje offers great rewards. Spectacular views across tea plantations to neighboring Mozambique, sheer drops down gullies laced with waterfalls; rich and diverse endemic plant and animal species visible on the slope glades shaded with purple crested loeries on the forest trees and sun squirrels scuttle along the branches; montane grasslands dotted with ground orchids and gladioli and alive with butterflies; forests of fragrant and world famous Mulanje cedar trees. 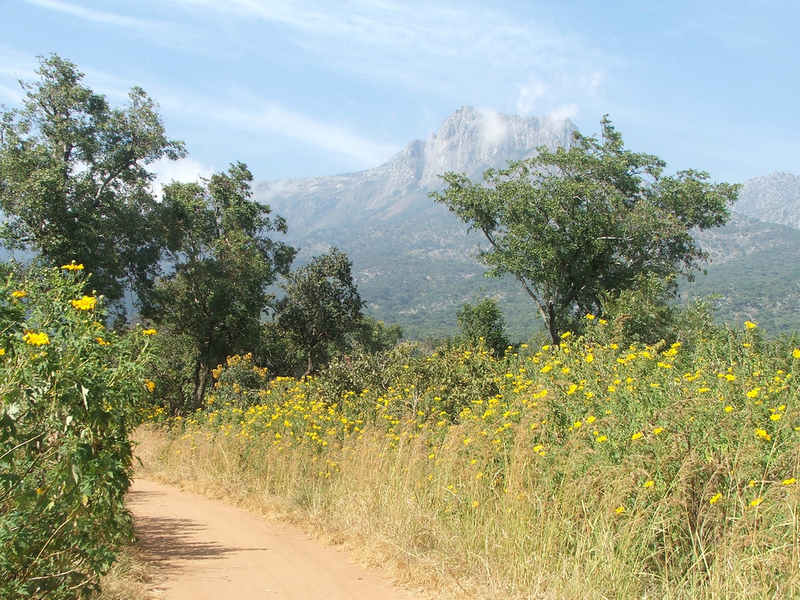 Mulanje is in its self a haven harboring unusual species that have evolved in ecological isolation. Mulanje Mountain has a very rich forest reserve, which is a home to a rich and diverse endemic plant and animal species. It is also a catchment of headwaters and a source of nine perennial rivers and tens of streams. The Malawi Mountain Forest Reserve is operated by the Mulanje Mountain Conservation Trust, a nature reserve founded in 1927. The reserve primarily safeguards the water catchment and to controls the extraction of endemic tree specie, Mulanje Cedar, which is Malawi's national tree.